The Grit Guard Universal Detailing Cart Combo includes the Grit Guard Universal Pad Washer and Pad Cleaning Solution. 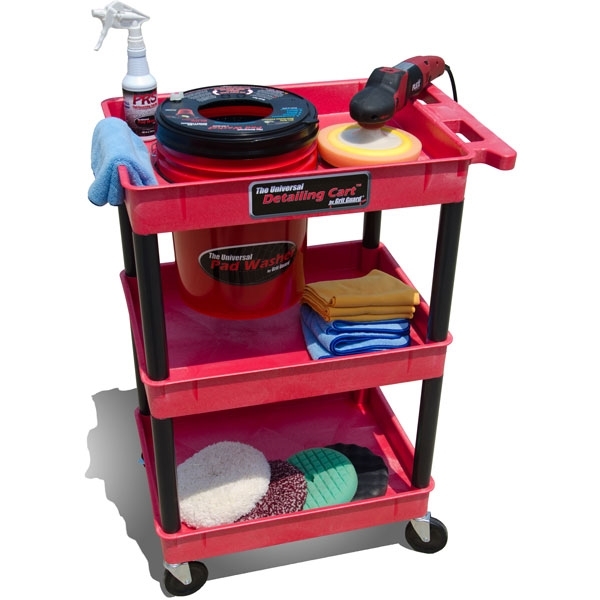 Cart is specially designed to lift the Universal Pad Washer up to a convenient working height while providing an organized detailing workstation for all of your most commonly used products. The included Grit Guard Universal Pad Washer conditions, cleans & dries any type of buffer or polisher pad. By cleaning your old pad, you increase buffing effectiveness, ease of use, eliminate contaminants, prolong the life, and save money. 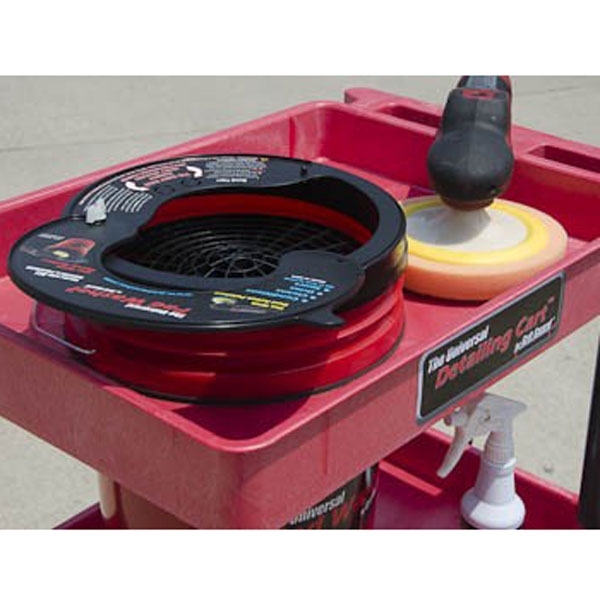 The Universal Pad Washer works on foam pads, wool pads, buffing balls, buffing bonnets, felt discs, felt flap wheels, microfiber applicators, and more. The Universal Pad Washer also keeps the backing of your pad dry while cleaning the pad. By keeping the backing dry, it keeps the foam from getting wet and causing damage while cleaning. 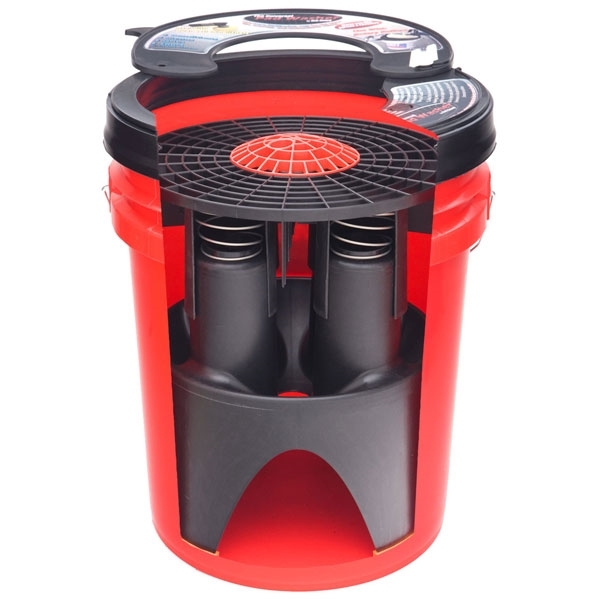 Features convenient Gamma Seal Lid provides water tight portability to any job site. Also includes a 16 ounce Grit Guard Pad Renewing Solution that is a concentrated formula that quickly breaks down petroleum and water based compounds on your buffing pad. Only 2-3 sprays directly on the pad breaks down and releases dried and hardened compounds on your old pad and allows them to be easily cleaned with the Universal Pad Washer for a restored, like new condition. One 16 ounce bottle cleans over 150 pads. 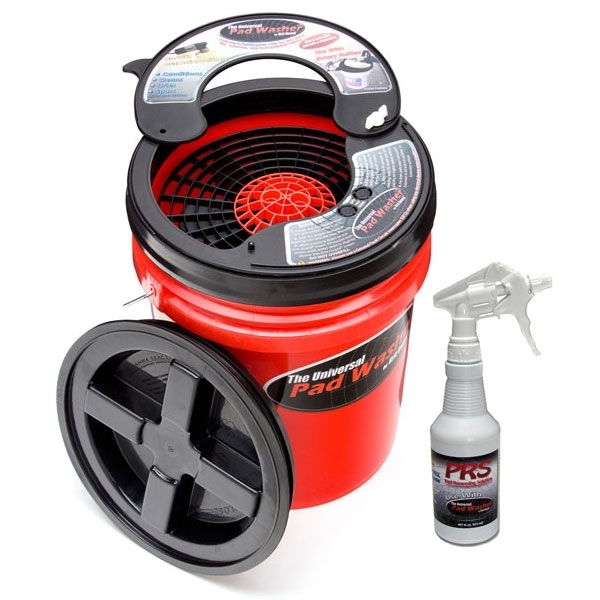 NOTE: Includes cart, pad washer and pad cleaner only (other products shown for demonstration only).